When you visit Canada, you will be required to obtain a temporary visa. Depending on your intended activities in the country, you can access a business or tourism visa. This is the endorsement that will temporarily permit you to legally enter the country, visit family or friends or conduct business activities as a business visitor. Some foreign nationals who are citizens of specific countries may not require a temporary resident visa to enter Canada. If you are a spouse or a dependent of someone who is temporarily residing in Canada, you may also be required to get a temporary resident visa depending on which country you’re coming from. However this temporary resident visa does not allow you to work while you stay in Canada. With the help of an immigration lawyer you can find the correct immigration documents to file if you want to travel to the country. If you are a foreign national and want to travel in and out of Canada, you will also need to get a temporary resident visa. As a business visitor in Canada, you can enter the country and participate in international business activities without necessarily having a work permit. These activities include attending meetings, conferences, seminars and providing some contractual after-sales services. You will need to declare the purpose of your visit at the Port of Entry to be admitted as a business visitor. If you are traveling to Canada from a visa exempt country you still need to get an electronic travel authorization (ETA) that is valid for 5 years. If your PR card expires within the next 9 months, you should apply for a new one as soon as possible to avoid any complications with your travel plans. All American citizens are exempt from the ETA program. Studying in Canada is a great opportunity to get a world-class education and a multicultural learning experience. Studying in Canada is the first step to becoming a Canadian for many immigrants since they are eligible for a post-secondary work permit after finishing their studies. When you’re able to stay in Canada after graduation you can get Canadian work experience and this will form the base for your future applications for permanent residence in the country. For any foreign national to work in Canada they must first obtain a work permit. 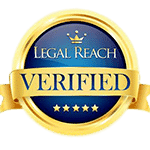 It may be an open or close authorization depending on the type of permit. You will need to have pre-arranged employment from an employer in Canada who is authorized to hire you in order to apply for a work permit. If you are accompanying your spouse who is employed in Canada you can get spousal work permit. There are various other areas in immigration law for foreign nationals who want to come and work in Canada such as the International Mobility Program, International Experience Canada, Temporary Foreign Worker Program and intra-company transfers. If you are a skilled worker you can get permanent residency in Canada through the express entry program. The Express Entry program is an Immigration Application Management System for economic immigration into Canada for candidates who are most likely to succeed in Canada. Participants are awarded points under a ranking system and those with the highest ranking scores will be invited to apply for a permanent resident visa in Canada within 90 days. If you are not eligible for the express entry program, you can use investment as a route to get your permanent residence visa in Canada. The immigration investor program was established in 1986 by the government of Canada and promotes business people with intentions of investing in Canada to immigrate into the country from around the world. Family reunification is one of the ways in which foreign nationals can become Canadian residents. Through family sponsorship, foreign nationals are sponsored by a relative who lives in Canada and can provide assistance to the individual to establish himself or herself in the country. Individuals who can be sponsored under the family sponsorship program include spouses, common-law partners, parents and grandparents, dependent children (including those who are adopted), and orphaned relatives under the age of 18 who are not married. You are a Canadian citizen if you were born in Canada, adopted by a Canadian citizen or if you acquire citizenship as a permanent resident. If you want to become Canadian citizen, you will be required to submit an application and take a Canadian citizenship test. When applying for citizenship in Canada, you need to have stayed in Canada for the requisite days in order to be eligible. You need to have lived in Canada for at least four of the past six years as a permanent resident before your citizenship application. Other eligibility criteria for citizenship applications include being able to speak English or French, meeting the personal income tax filing obligations and declaring your intent to reside in Canada. An immigration lawyer in Mississauga can help you to challenge a visa officer’s negative decision in court. They can help you make an appeal through the immigration and refugee board or through the federal court. In family sponsorship cases, the sponsor can appeal to the IRB with the help of a lawyer in case the visa officer refuses a family class application. The appeal documentation should be filed at least 30 days after receiving the decision from the visa officer. Applications to the federal court depend on the reason for the negative decision and the kind of documentation submitted and this should be done either fifteen or sixty days after the date of the decision, depending on the location of the immigration office. 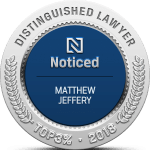 Immigration Lawyer in Mississauga, Matthew Jeffery is proud to serve the people of Mississauga, Ontario. Located along the shores of Lake Ontario in Peel Region, Mississauga is a diverse and multicultural community of over 713 000 people, making it one of the 10 most populous cities in Canada, and the third most populous city in the Great Lakes region which borders Canada and the United States. Recognized by fDi Magazine as the “best mid-sized city of the future,” it has also been named among the top 20 cities to live in worldwide. Mississauga is home to a multinational population, about half of which are members of visible minorities or speak a language other than English. With the Toronto Pearson Airport- the largest international airport in Canada- located within its borders, the city is a popular destination for global immigration and businesses. Many Fortune 500 companies have established offices within the Mississauga city limits, with over 60 of them basing their Global or Canadian operations there, including several major corporate headquarters for other Canadian and Global businesses. This contains companies across a wide range of industries including banking and finance, transportation parts and equipment manufacturing industries, and electronics and computers. First established as a suburb of Toronto, Mississauga has come a long way. As growth used up the available land, development began on building up the downtown core to create a thriving city just a short drive from Toronto. 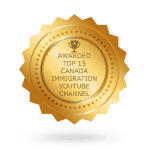 If you are one of the many aspiring immigrants or permanent residents living in the Mississauga area and need advice or assistance on gaining residency, work permits, or citizenship, or any other immigration matter, contact immigration lawyer in Mississauga Matthew Jeffery at +1-866-886-8014.